Simple app that displays your upcoming events. Is there a better alternative to iCal Agenda? 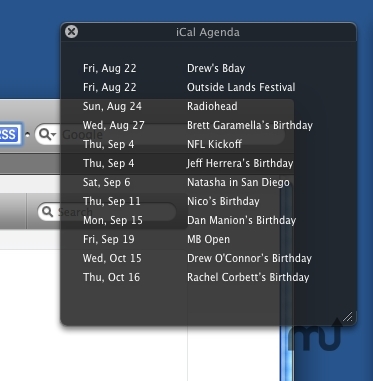 Is iCal Agenda really the best app in Personal Info Managers category? Will iCal Agenda work good on macOS 10.13.4? iCal Agenda is an unobtrusive, simple app that displays your upcoming events. iCal Agenda needs a rating. Be the first to rate this app and get the discussion started!